The Oratory's crypt will be directly connected to Queen Mary Rd. by escalator, said rector Claude Grou. 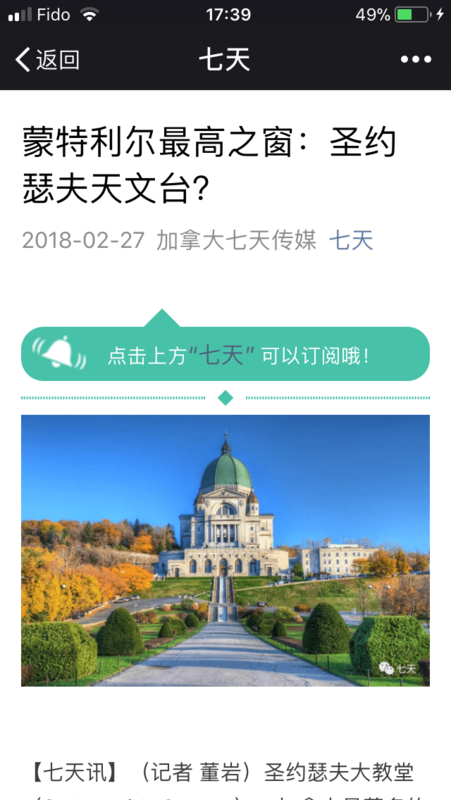 Renovations on St. Joseph’s Oratory, partly aimed at making the shrine more accessible for people with reduced mobility, will resume this year, with an expected completion date of 2020. For example, the crypt will be directly connected to Queen Mary Rd. by escalator, said Father Claude Grou, the rector of the sanctuary. The next phase of the $80-million renovation will include installing lighting in some of the spaces, adding a new welcome centre, and redoing landscaping to make the site more welcoming for pedestrians. Plans also include the creation of an observatory at the top of the basilica that will be “the highest window on Montreal,” Grou said. The final phase of the work will include a complete renovation of the Oratory’s museum. The renovation will open up a space between the inner and outer domes to create the new observatory, from which visitors will be able to look down at the basilica and have a 360-degree view of the city. 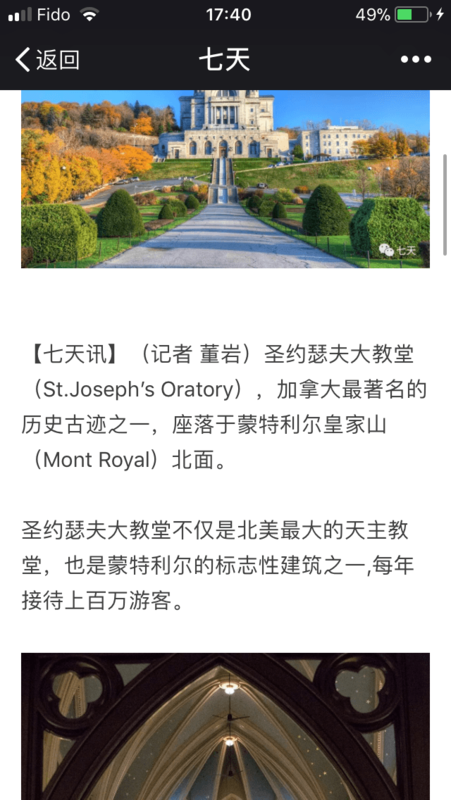 Grou said that the panoramic view will enhance the Oratory’s appeal as a tourist attraction. The shrine already receives two million visitors each year. “The idea of making it accessible has been part of the Oratory’s mission since the very beginning, as a place where people can contemplate, pray and admire the beauty of nature,” Grou said. 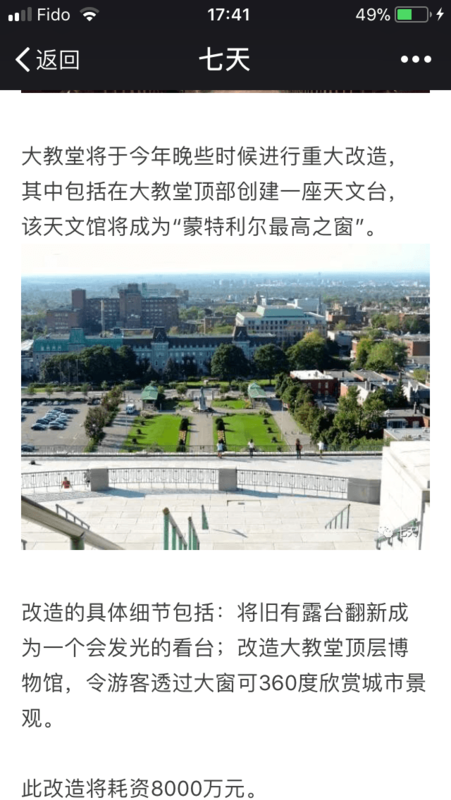 Copyright © 1999 - by Sinoquebec Media Inc. All Rights Reserved 未经许可不得摘抄 | GMT-4, 2019-4-25 09:51 , Processed in 0.202306 second(s), 34 queries , Xcache On.